Dr. Allen Seel called Michigan his home for his entire life, and called Gentle Dental Associates home for more than 18 years. His passion for comprehensive care, with an emphasis on cosmetic dentistry and smile makeovers, was his trademark as our senior dentist. Dr. Seel did his undergraduate work at the University of Detroit for three years before being accepted to the dental program at the University of Detroit School of Dentistry from which he graduated in 1962. He then became an associate in a practice in Detroit for eight months before he started his own practice in Dearborn in 1963. He continued to practice alone for many years until the practice grew into the need for two associates who later became his partners. The growing practice moved to a larger facility until 1991 when Dr. Seel sold the practice to his partners. 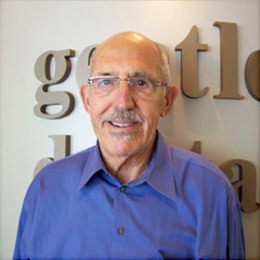 In 1991 he bought a practice in Ypsilanti and founded Gentle Dental Associates, which moved to its current location in Ann Arbor in 1997. Dr. Seel’s commitment to continuing education led him to complete more than 2700 hours in advanced dental education. While he no longer practiced dentistry, he served as a mentor for the dentists he had assembled to service the needs of the patients in his busy office. Dr. Seel was happily married to Phyllis, a psychologist, for more than 51 years. Their daughter, Robin, is married to Jeff. They also share two sons Brad, and David, married to Deborah. The family has grown through the years to now include ten grandchildren Josh, Rebecca, Alexandra, Mathew, Noah, Jake, Madison, Jack, Lillie, and Sophia. Dr. Seel enjoyed boating, fishing, exercising, and sports, but spent most of his leisure time with his large, close knit family who live here in Michigan. Dr. Seel’s legacy and memory will live on in all of our hearts.